Rhian Sherrington, Award Winning Author of ‘Alchemy for the Mind: Create Your Confident Core’ and Best Selling Author of Choose to Flourish: How to change career and thrive in life, empowers professionals to shift from a place of stressed out, ‘making do’ to thriving in careers that feed their soul as well as their bank balance. 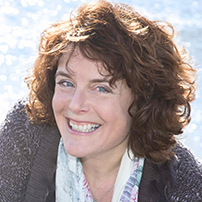 Rhian combines her coaching and behaviour change expertise with her client’s inner wisdom, releasing the traps that have been holding them back in order to create new possibilities to flourish. An unexpected and traumatic death in her family became a wake-up call to Rhian to find her courage to realign her working life to better reflect her hidden dreams and aspirations. This led her to turn her back on an established career in the charitable sector to re-train as a life & career coach, creating ‘Choose2Flourish’, her coaching and training company, becoming a successful author and speaker. From her lived experience of working in a highly masculine culture which left her questioning her value and abilities, Rhian has a special interest in supporting women in careers that are creating a happier, greener and healthier planet. To this end, she founded the ‘Women in Sustainability’ Professional Network and is a Director of Catalyse Change CiC, a social enterprise working to empower girls and young women to become change agents for a sustainable world.